The e-commerce market in Southeast Asia was worth US$10.9 billion in 2017 and will reach US$88.1 billion by 2025, based on the latest report released by Google and Singapore sovereign fund, Temasek. Millions of data points were screened daily for the time period of 1st Jan to 30th Jun 2018, also commonly identified as Spring/Summer season for Southeast Asia. Interfaced with Omnilytics data analytics solution, we attribute the measure of bestsellers based on sell-out rate, replenishment rate, discount rate and discount depth on the data collected. This report analysed data extracted from ten of the largest e-retailers across Malaysia, Indonesia and Singapore, namely Zalora, ASOS, H&M, Berrybenka, NEXT, Shein, Forever 21, Topshop, Zara and Fashion Valet, and for key Spring/Summer 2018 categories of Women’s Tops, Dresses and Shoes. The number of SKUs ranged from at least 14,723 SKUs for Fashion Valet to the most at 414,838 SKUs for Zalora. This season’s bestsellers mainly derived from Zalora, ASOS, NEXT and H&M, out of the pool of the top ten largest e-retailers in Southeast Asia, with a combined sell-out rate of 63% on average from the period of 1st Jan to 30th Jun 2018. 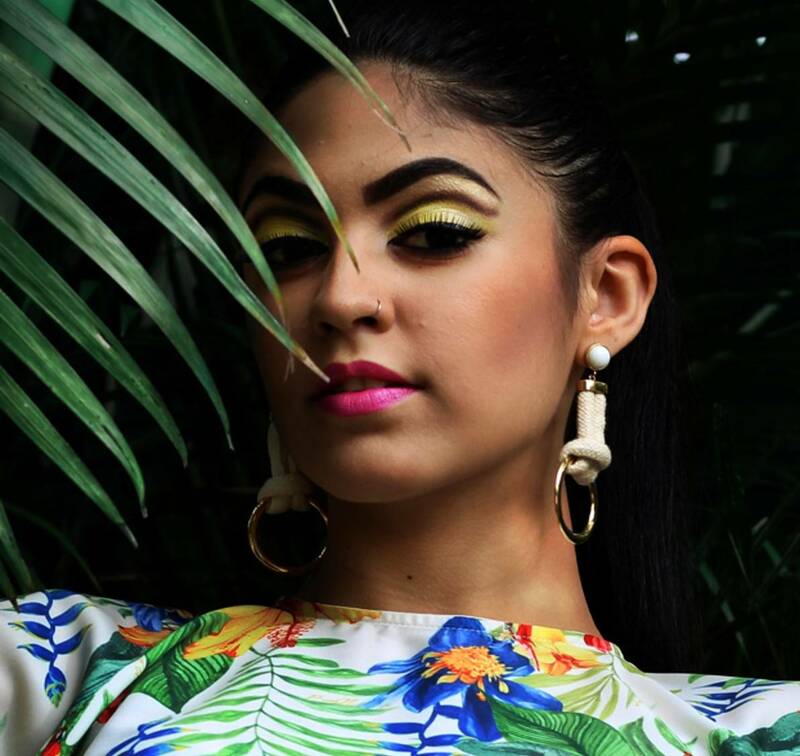 Prints – fruit designs were popular, mostly represented in cami tops and dresses, while floral print remained evident. Smocked tops and maxi dresses – consumers’ favourites as these are effortless to style from day to evening, with ruched and button front details. 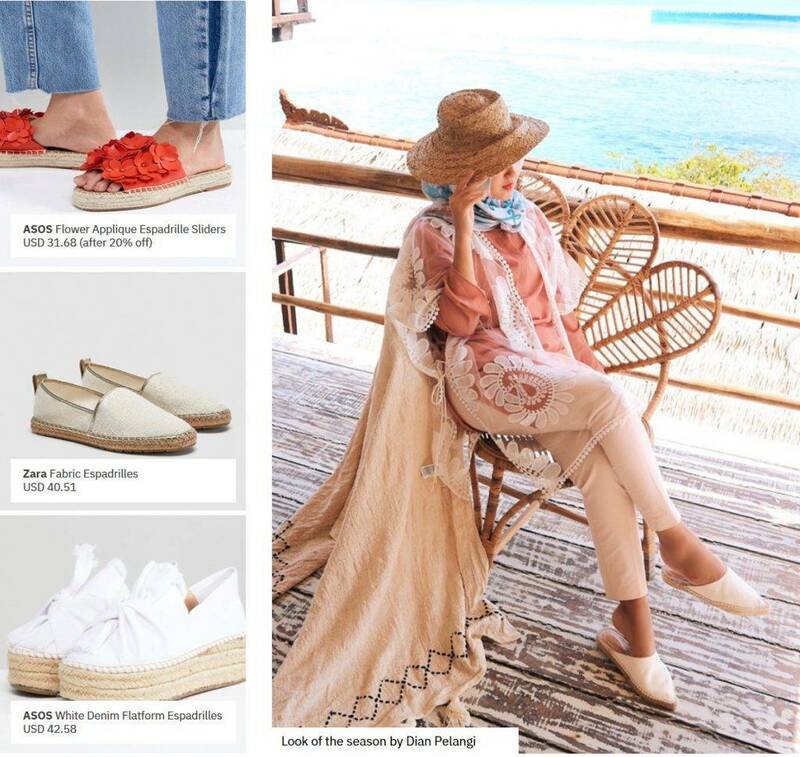 Sliders and espadrilles – returned to the season this year in a big way, but in a less dramatic interpretation across our Southeast Asia e-retailers, as compared to the glam and embellished versions hyped by the media/influencers. While the application of seasonal bold colours gained prominence and hype, Black, White and Blue remain a staple favourite, commanding the most width across assortments amongst our ten e-retailers. The most common discount range identified for the key three categories analysed, namely Women’s Tops, Dresses and Shoes, fell in the bracket of 40% – 50%, showing palatable markdown activations, less aggressive than the second half of the year where major discounting would be driven by Black Friday, Cyber Monday or Singles’ Day. Having said that, this Spring/Summer was certainly not short of happenings. In addition to newness launch, a string of key events also took place – special campaigns over Valentine’s Day, Mother’s Day and International Women’s Day, as well as festive promotions over Lunar New Year and EID. Fast fashion retailers are also known to apply different markdown strategies, across categories. Retailers such as Berrybenka and Forever 21 launched very aggressive markdowns to drive sales with over 60% of SKUs on average 50% off. ASOS also had large numbers of SKUs on discount but at modest 30% – 34% off. Zalora was championing Tops with the least discounting but more aggressive on Dresses and Shoes. Meanwhile, Fashion Valet had the least number of SKUs on discount, which could signal a successful assortment for the season. Topshop, Zara, NEXT and ASOS led the Tops category, with replenishment rates 20% higher than average and median prices above the USD 25 mark. Topshop stood out being one of the top brands that replenished well with low sell-out rate and high median selling price. All the metrics seemed to point out a successful assortment for the season. FashionValet also performed well, addressing efficiently the dynamic market of Muslimah premium tops. Berrybenka and Forever 21 fell behind, with the lowest replenishment rate, and low median prices at USD 9 and USD 11 respectively. No pattern has come to define the Summer of 2018 quite like the fruit prints. Tops in the “happy and fresh” vibes were popular amongst our selected e-retailers, with sell-out rates higher than average. Among all fruits, the pineapple, in particular, was a top favourite : “ASOS Brave Soul Pineapple Shirt” pictured was replenished 22 times in 4 months, in all sizes. This season, Smocked Tops returned in a big way, after a brief introduction last summer, and are loved by fashionistas all over the globe including Jane Chuck, one of the top social media influencers from Malaysia. On the retail front, “H&M Smocked Off-The-Shoulder Top” was replenished 16 times since its launch in May. 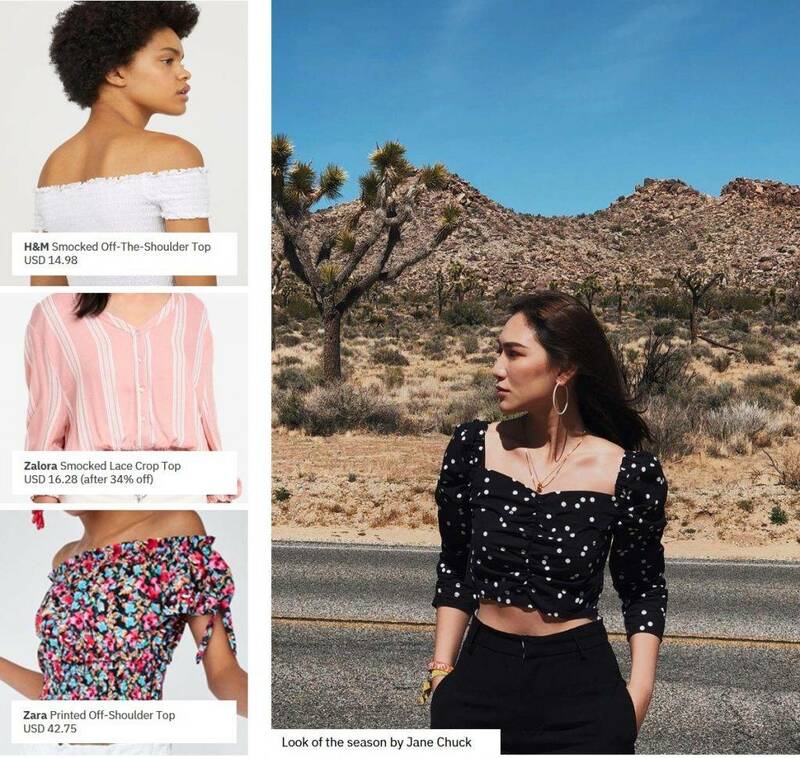 “Zalora Smocked Lace Crop Top” was replenished 8 times in the month of June alone, proving that the style need not be “teenie-weenie” as glorified in the West, to win in Southeast Asia. Amongst the retailers analysed, Zara’s smocked tops were leading, with replenishment rate at 4 percentage points higher than the average of total Tops. Undeniably, the button-front style was a statement everywhere for the first half of this year. A simple but effective trend, adorning tops, dresses and trousers alike. Oversized and prominent, these buttons were made for bold impact. 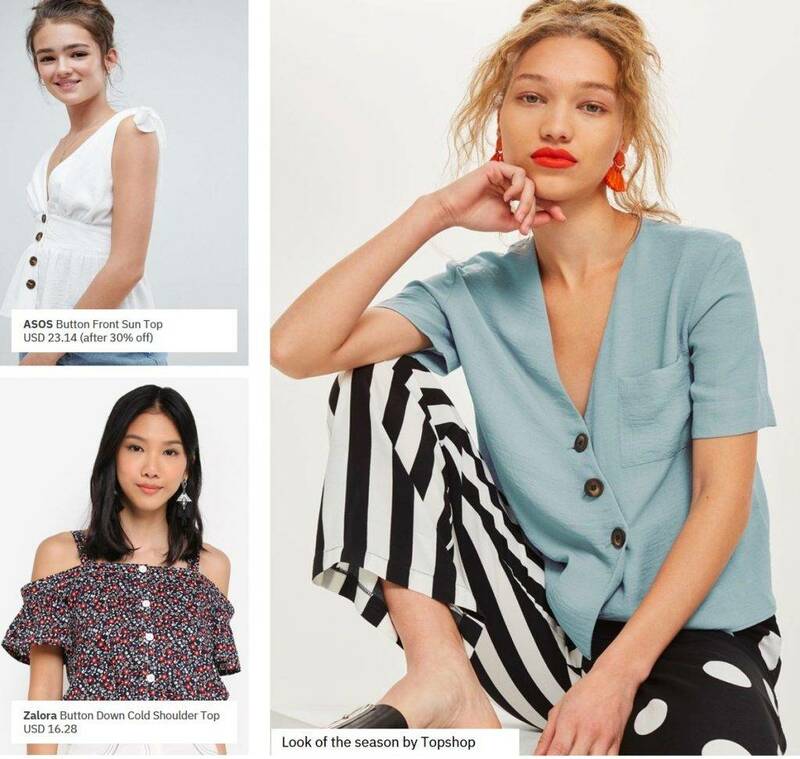 ASOS, Zalora and Topshop showcased button front tops as their bestsellers. “ASOS Button Front Sun Top” in White was the crowd’s favourite, as it ran out-of-stock and was replenished more than 30 times in just 3 months! This trend was also versatile as seen across styles, on casual Camis and Cold Shoulders, to smart Boxy Shirts. On Dresses, it was observed that prices and discounts varied greatly from one retailer to another. Types of material and extent of details applied also impact pricing. 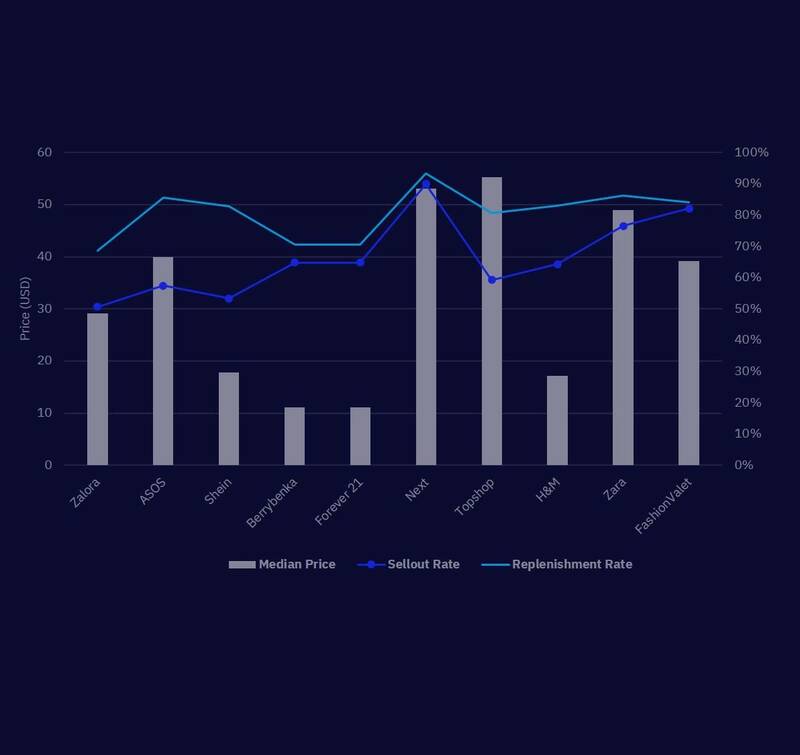 NEXT was the leader in this category, with the median price at above USD 50 and also commanding the highest sell-out and replenishment rates at above 90%. Topshop and Zara also did well in this category, with healthy levels of sell-out and replenishment, an indication of high efficiency in quick replenishment cycle to avoid missing sales opportunities. While embroideries are not new, it is definitely here to stay. 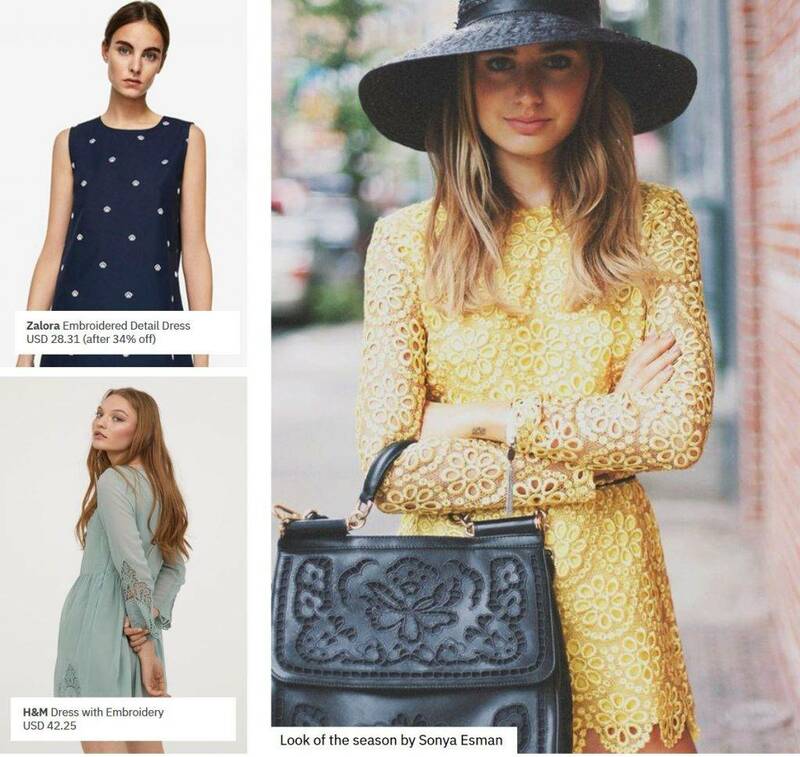 Analyses demonstrated that embroideries continued well into Spring from last Fall/Holiday, and maintained significant relevance especially in Dresses category approaching the end of Summer 2018. Famous Russian influencer pictured on the far right, Sonya Esman, flaunted her embroidered dress in the season’s key colour “Notice Me Yellow”. Cami style raged the Tops category, and the same winning style was also seen delivered on Dresses this season. The replenishment rate for Cami Dresses was moderately high at above 65% for two-thirds of the retailers analysed. ASOS saw a rise in sell-out and replenishment rates for dresses in cami strap style. 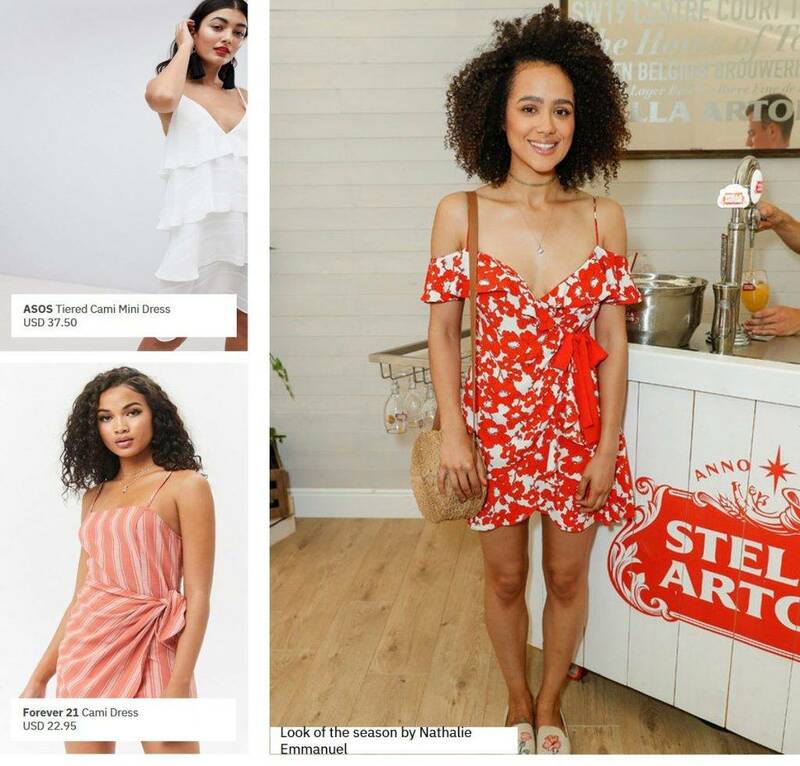 An outstanding winner was “ASOS Tiered Cami Mini Dress”, which went out-of-stock at full price three times in 2 months, and was replenished over 10 times. Floral prints bloomed this Spring/Summer with ditsy, ethereal flowers and tropical accents. 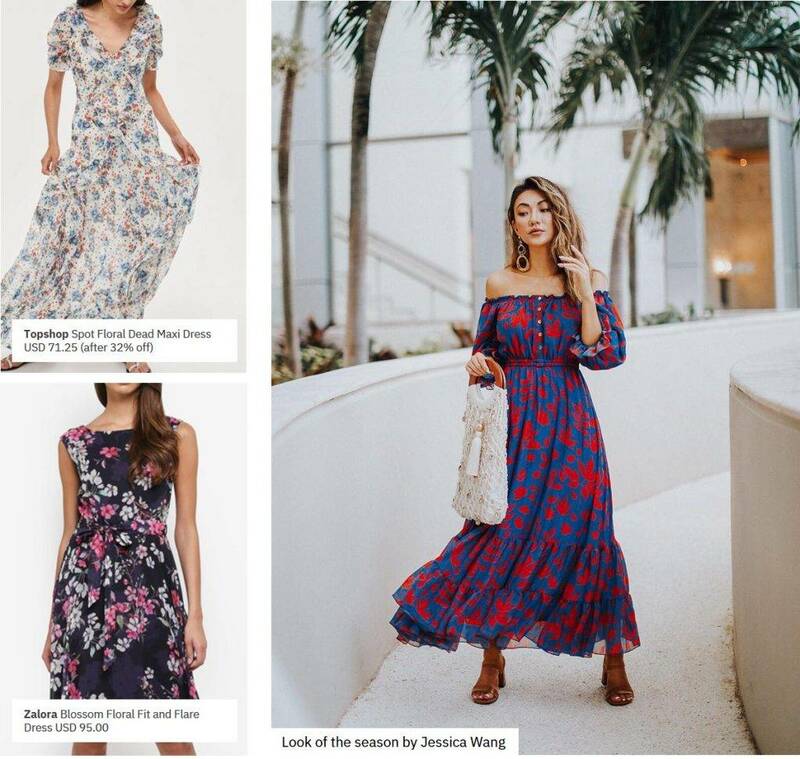 Floral dresses represented 17% of Zalora’s total dresses assortment which was the highest amongst the selected retailers. The average sell-out rate for the selected retailers reached 65% with most SKUs replenished. Topshop received positive response to all dresses in floral prints which were replenished numerous times within the timeline. Following closely behind were ASOS, Zalora and NEXT. While the median price for Shoes is generally higher than most apparel categories, the average sell-out rate for Shoes was 63%, and most of the replenishment rates were above 70% – overall a good performance indicating low resistance to higher prices. Zara and Fashion Valet found a sweet spot with median prices that respectively enabled them to reach good levels of sell-out rates. On the contrary, Topshop seemed to perform poorly on Shoes, not enjoying the same successes as its Dresses and Tops categories, with low sell-out rate. This may be due to its high median price at nearing USD 62. Floral detailing had inspired Shoes this season, as much as it did on Tops and Dresses. The trend was seen translated across various types of shoes, from slip-ons to flats and heels. “Mango Flowered Leather Heels” sold at Zalora was among the bestsellers, that were replenished multiple times since first release. While appearing intricate, the trend was effortlessly easy to pair with denim for a chic look. Espadrilles returned to the season this year with more variations and detailing than ever seen before. While in the world of high fashion, these comfy and airy flats came in glam and heavily embellished versions, Southeast Asians preferred it less dramatic with a touch of charm and edginess. Pictured here on the far right, Indonesia’s top hijabista influencer, Dian Pelangi, relaxed by the beach in a pair of off-white pointy toed leather espadrilles. Bestseller, embellished “ASOS Flower Applique Espadrille Sliders” went out of stock at full price 6 times in 2 months with numerous rounds of replenishment. Other bestselling styles are pictured, Zara’s metallic trimming and ASOS’ denim bow on flatform. Zara was leading in this category, with near 100% sell-out and replenishment rates and only 4% of SKUs on discount. While a pair of all-white trainers has been the rage for a few seasons now, it continues to receive strong demand from this part of the globe. H&M was a winner in white trainers with sell-out rate 5 percentage points higher than average, and backed by replenishment rate of 3 percentage points above average. ASOS followed with Plimsoll Trainers reached a 91.7% replenishment rate, above average. The white trainers were often paired with dresses or skirts to complete a glam chic look. 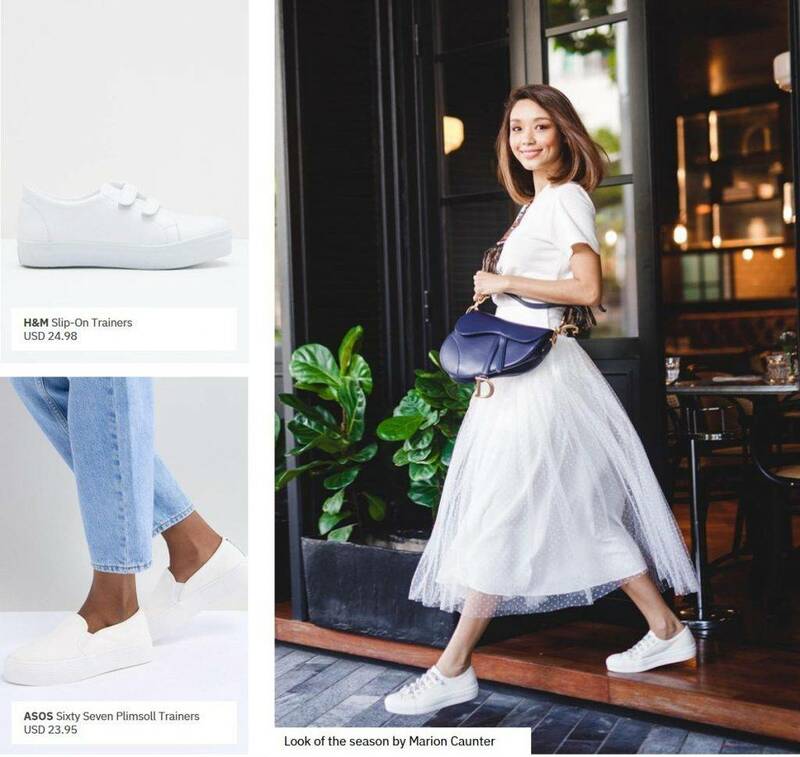 Feminine, happy, fuss free – were the vibes of mass fashion e-retailers analysed for this Spring/Summer 2018 in Southeast Asia. It was a culmination of the return of past micro trends such as fruit prints, smocked and button front detailing, with the extension of trends from previous season as seen with embroideries, floral prints and white trainers. 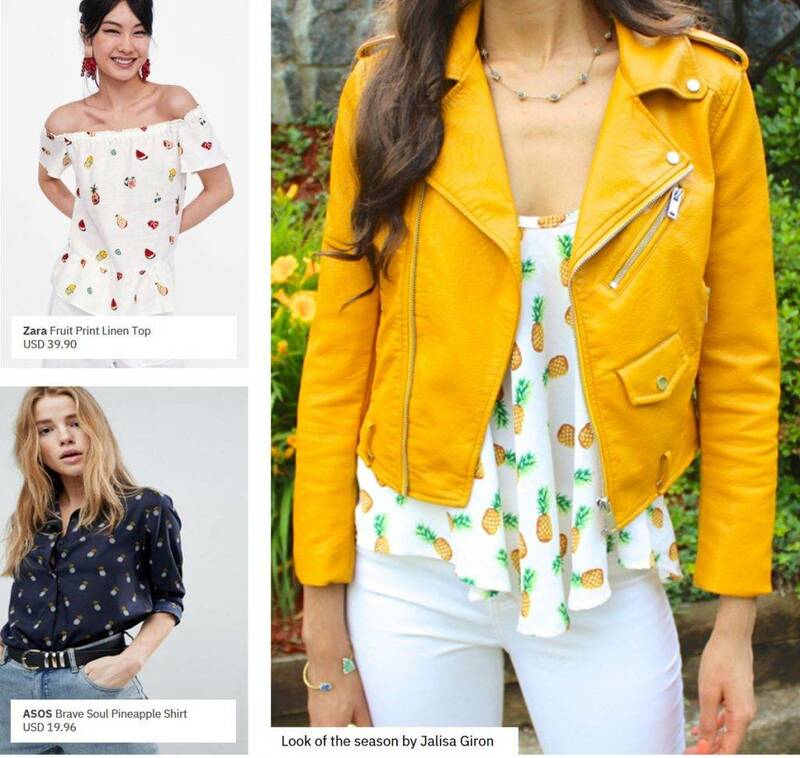 Given new twists, the ten e-retailers analysed have successfully translated these trends into market relevant offering – fruit prints on tees, different floral interpretations across categories, feminine smocks with longer sleeves, light cami tops and dresses, and easy-going espadrilles. These styles typically sold out at full price and were replenished more times than average during the timeline studied. Having said that, some micro trends have stayed for almost, if not more than, 2 seasons now. Examples of these are floral embroideries, smocked tops and white trainers. Will these trends fade after a gradual decline in the upcoming Fall/Holiday season, or will demand sustain in Southeast Asia given its all-year round tropical weather? 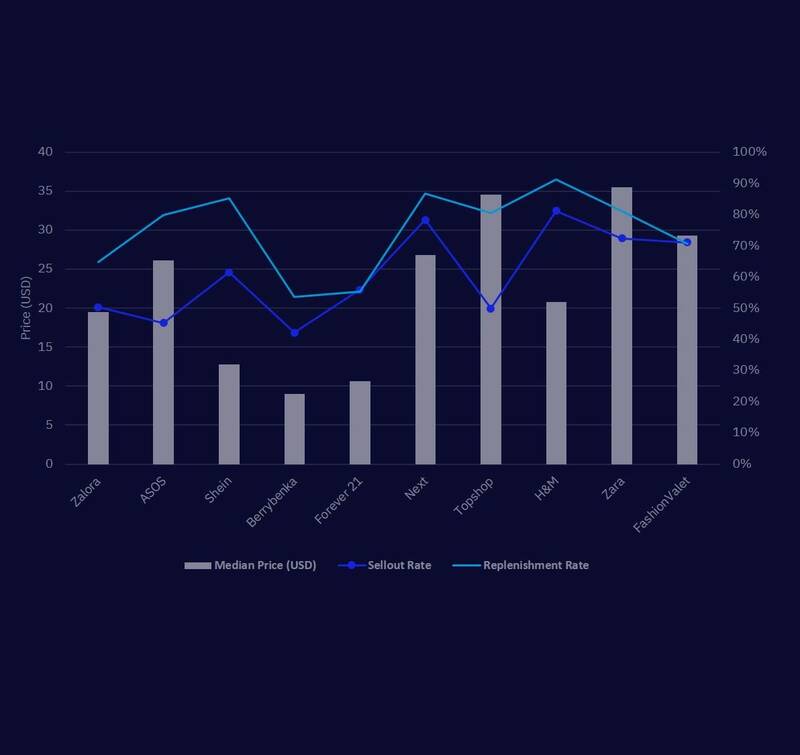 It is crucial for retailers and Southeast Asian brands to keep an eye on trends movement, supported by real time data to monitor impact of sales against the constantly evolving trends. 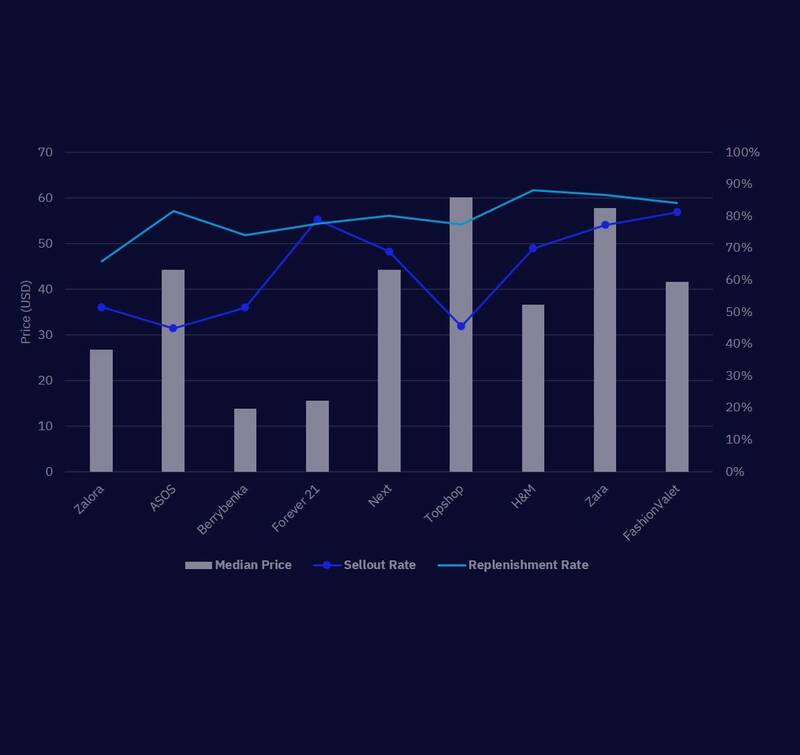 Factual market data will empower commercial decisions and trade activations to be executed in a confident and effective manner.